Although I posted Day 1 and 2 earlier, today was the real start of the bike tour. Like a kid on Christmas morning I got up nice and early, ready to start my trip across Central Hokkaido. I went downstairs to greet Y-san and her assistant who were already up and about. Arriving at Y-san’s place quite late the previous day, I didn’t get a chance to have a good talk with her before we all headed off to bed. Y-san, originally from Fukushima Prefecture, left for New Zealand when the 2011 Tohoku disaster hit before coming to Sapporo in 2014 to work as an activist and volunteer on people’s rights. It was pretty interesting talking to Y-san; she some good ideas on how to make Japan a better country. Some of her views might have been a too radical (for lack of a better term) for my taste but I respected her opinion. Both Y-san and her assistant are both vegan and her assistant whipped us up one of best breakfast I’ve had in a while; sticky brown rice, a mixed lettuce salad and miso soup with quite possibly the best tofu I’ve had. 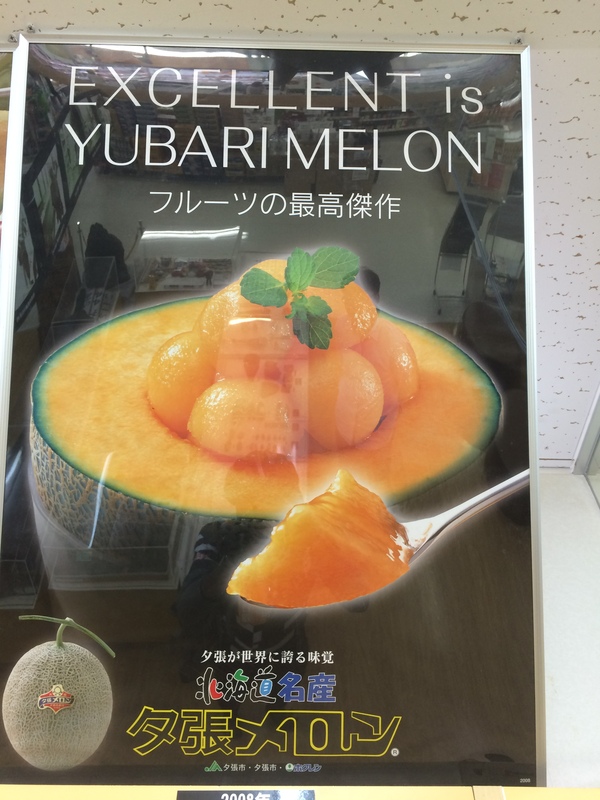 After breakfast, Y-san mentioned she’d like to take me to a fruit garden before I left Sapporo. We hopped in the car where I spent most of the trip there (which was about 5 minutes) mulling over how to translate 果樹園 (kajuen) into English before exclaiming orchard in a relieved tone just before we arrived. The orchard itself was on top of a hill (possibly a mountain) in Western Sapporo. Spread out over a huge area were all sorts of fruits: peaches, apples, blueberries and some other fruits I’ve never seen before. In front of the orchard was a small hut belonging to the owner which also functioned a small shop. The owner was a sassy obaachan and despite it being her and Y-san’s first meeting, they spoke with a level of intimacy reserved for only the best of buddies. The shop had a huge collection of fruits for knockout prices. A bag of 8 apples was 150 yen (82p), which in Japan you’d be lucky to find a single apple priced at in most supermarkets. We headed back to Y-san’s place, and I finished setting up my bike before we said our’ see your laters’. The skies were looking eerily grey so I quickly shot off into Central Sapporo to have a short breakfast F, Momo and KA. Since the crew were off for a day at the arcade and had to catch a bus, it was a short affair. I took a quick look around Sapporo Station, checked my maps and then headed east towards Yubari. The journey was about 70km and after leaving Sapporo on Route 274, it was pretty smooth sailing. The ride was a pleasant one; super wide roads, hardly any cars and the sun shining in all its glory. 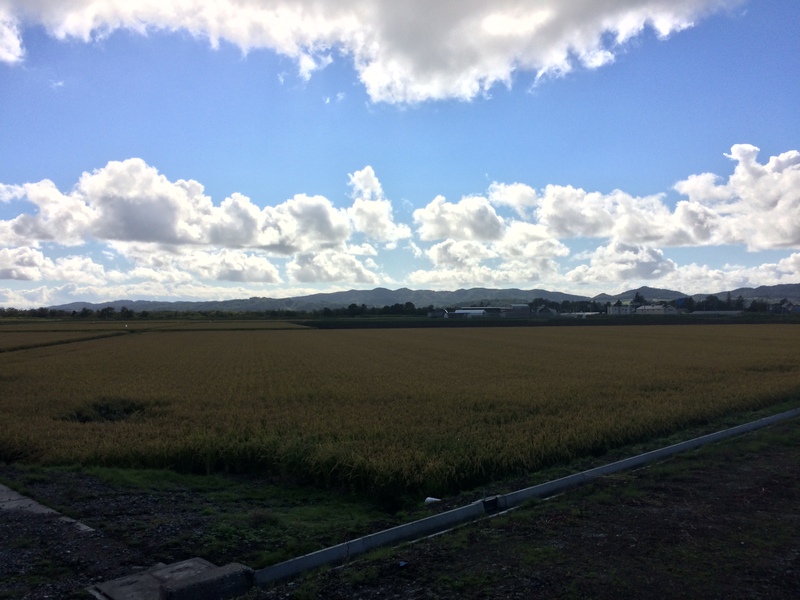 I was beginning to question my coworkers’ comments about Hokkaido’s climate in September; the temperature was a beautiful 24 degrees. 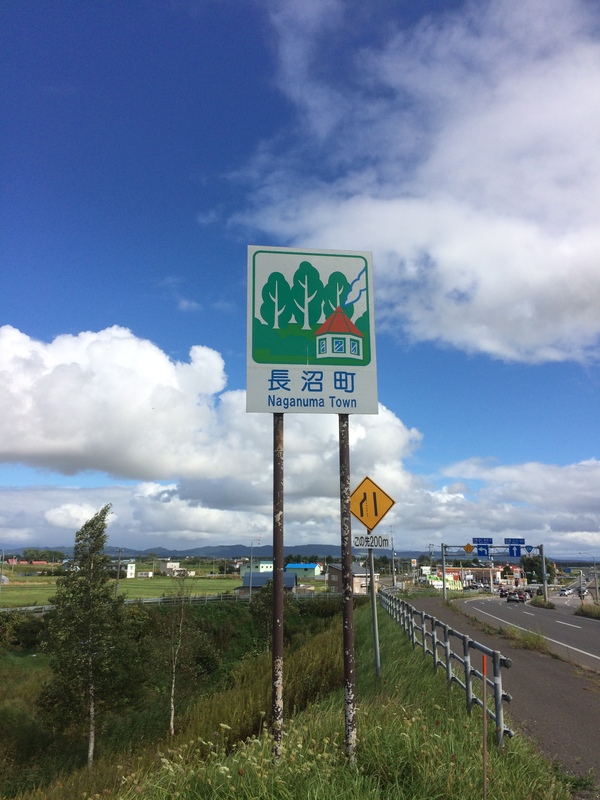 The lovely signs of Hokkaido’s cities, towns and villages. Beats the very drab ones found in Kanto. 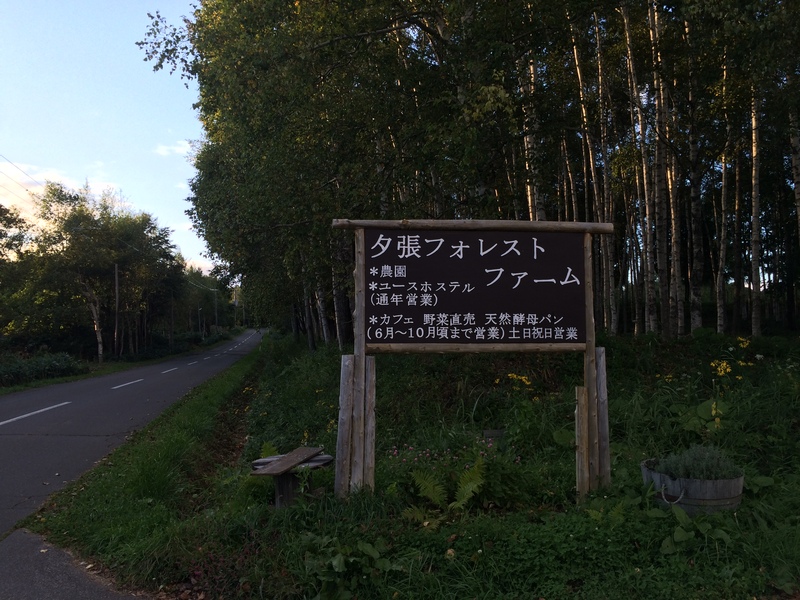 The final stretch from the outskirts into Central Yubari was up a fairly long climb. The first tunnel of the trip also made an appearance; one of the things I was dreading most about cycling around Hokkaido. Loud, dark and narrow, tunnels are bane of my existence as cyclist; especially those pesky ones without a pedestrian walkway (which the first one so happened to be). Luckily, the tunnel was right before I got into Central Yubari and short enough for me to muster the energy to sprint through it. Yubari, known in Japan for its melons is less known for its international film festival, the Yubari International Fanastic Film Festival. Those of you who’ve seen Tarantino’s Killbill may remember the batshit crazy assassin Gogo Yubari. The character was a homage to Yubari; Tarantino apparently wrote the screenplay for the film while visiting the city during the city’s 1993 film festival. 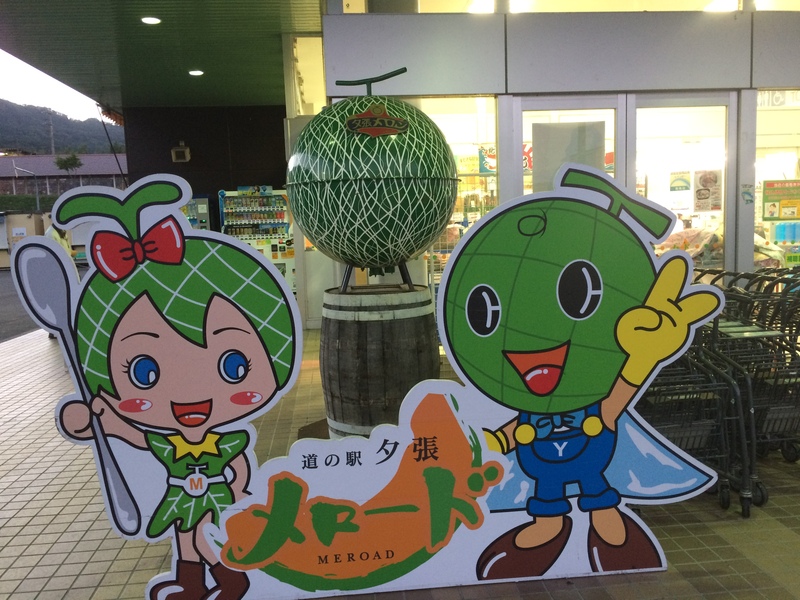 Yubari, like most places in Japan, also has its own yurukyara (mascot); Yubari’s being represented by the horrifyingly scary Melonkuma. If you don’t believe me just take a look at this clip on Last Week Tonight. 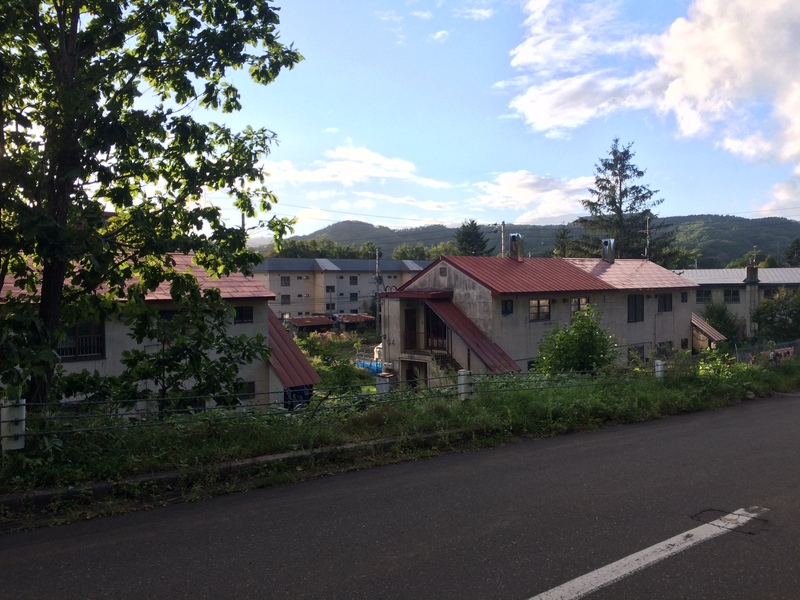 There were many reasons I was interested in visiting Yubari; the city’s huge fall from grace since the closure of its coal mines and the fact demographically, it’s one of Japan’s oldest cities. 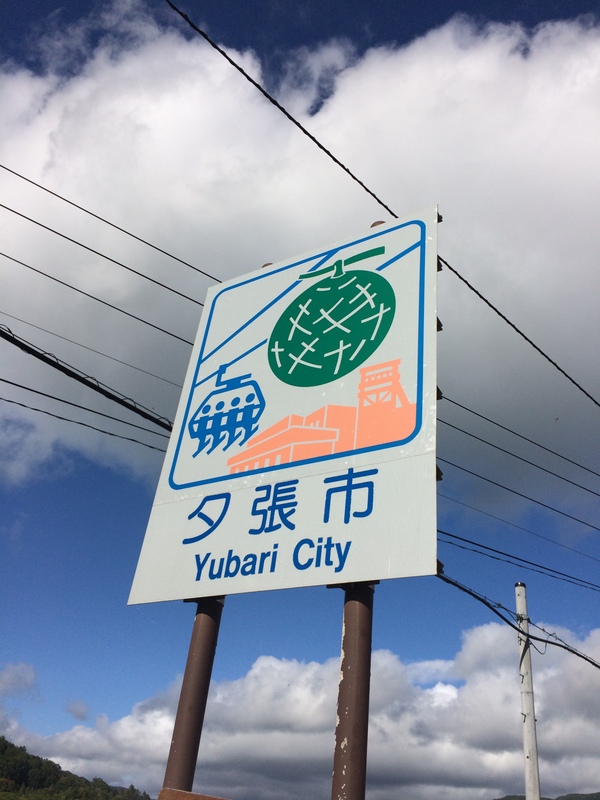 It’s a city in name only; with estimated population of only 9,968, Yubari doesn’t even qualify as a town let alone a city. 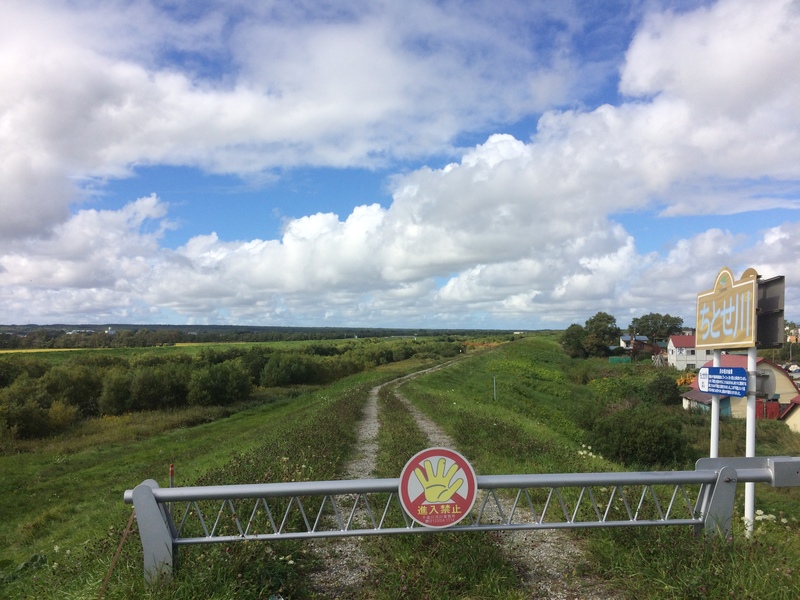 However the deciding factor of my visit was collection of posts written about Yubari by one of my favourite bloggers, SpikeJapan. Spike has written some truly fascinating stuff on some of Japan’s more overlooked areas with wit and finesse I’ve never read before. Unfortunately he no longer writes anymore but has left behind a treasure trove of excellent posts. You can read his abridged Guardian article on Yubari here or if you have the time, I highly recommend the director’s cut here. He’s also written about Yubari here and less explicity so here. Upon entering the downtown area (although it was a very big stretch to call it downtown) I decided to hunt down a convenience store (konbini) to stock up on some supplies. 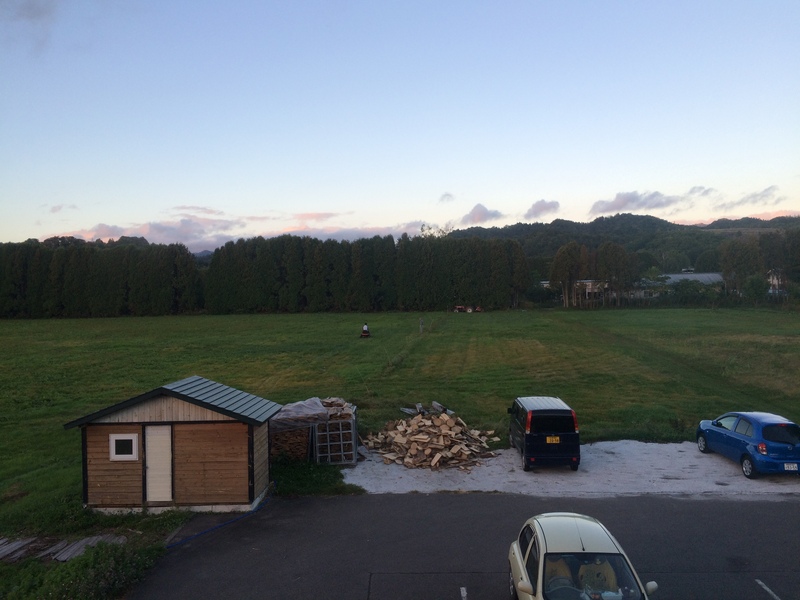 A stone’s throw away from the konbini was the Mount Racey Ski Resort. 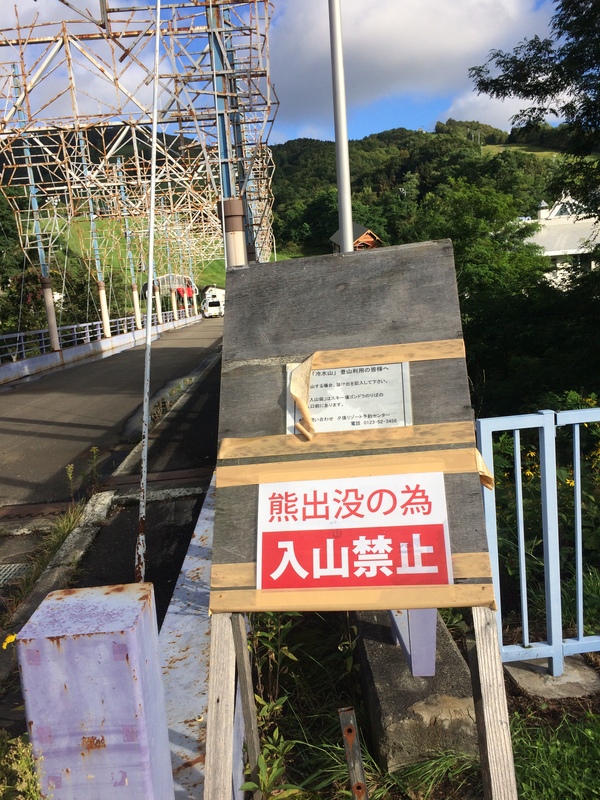 Since it was summer and the resort was empty, I planned to do some sleuthing around…that is, before I was met with this disturbing warning sign. Sign: Due to the appearance of bears, entering the mountain is forbidden. Appearance of bears. Bears. Next to tunnels, bears were the other thing I wanted to avoid at all costs on this trip. I read perhaps a little too much about bears in Hokkaido before visiting, including the Sankebetsu brown bear incident (in hindsight a terrible idea as it made me even more paranoid about encountering one). I wanted to be prepared for any eventualities so did some research about what to do should you ever come across one. ‘If a bear charges at you, keep calm.’ ‘If you want to immmobilse a bear, hit it on the nose as it’s the most sensitive point.’ I can say with almost 100% certainity that I would be a goner in the face of a bear attack. You could put in the middle of zombie apocalypse and I’d manage just fine (thank you Resident Evil) but a bear attack? Nah. I left pretty abruptly, not wanting to test fate. 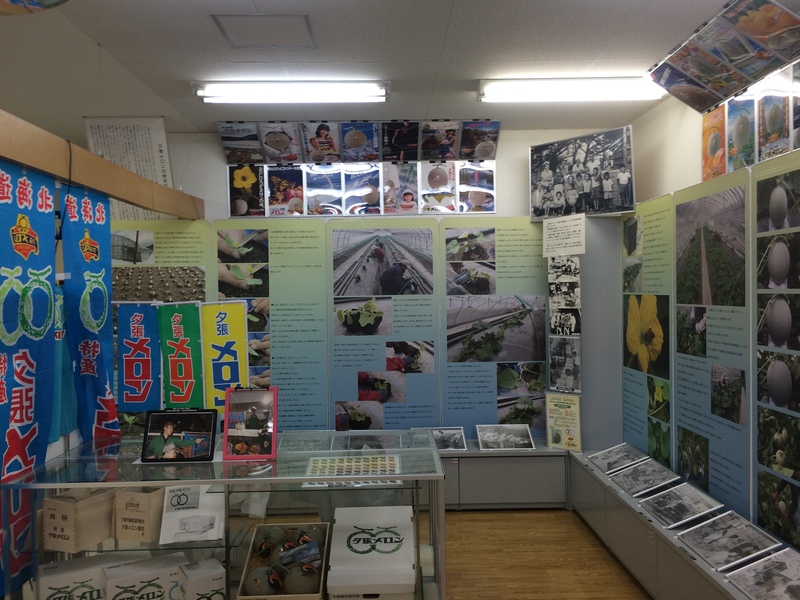 With a bit of time to kill, I gave the tourists centre at Yubari Station a quick look. The lady working there was a friendly obaasan, who after making the usual small talk mentioned she’d visited Tochigi once before to visit a place called Ashio. Living and cycling around Tochigi for just over a year at this point I thought I knew the names of most towns and cities but this one didn’t ring a bell. A quick google search showed me it was a small town in Western Tochigi that was absorbed into Nikko City almost a decade ago; accessible from Gunma Prefecture on very obscure train line. She mentioned she went to Tochigi to visit the Ashio Copper Mine; a mine known for causing serious pollution problems during the late 19th/early 20th century. Curious as to why she visited a copper mine and sensing an interesting connection with Yubari’s mines, I planned to ask her more about it however an influx of tourists came in and she got swamped with questions. After waiting around a bit and talking with some other friendly obaasans about some places to visit in Hokkaido, I gave up and decided to head to my accommodation for the day. Left: Hakuchuu no Buraikan (The Lunchtime Scoundrel) translated as Greed in Broad Daylight in English. 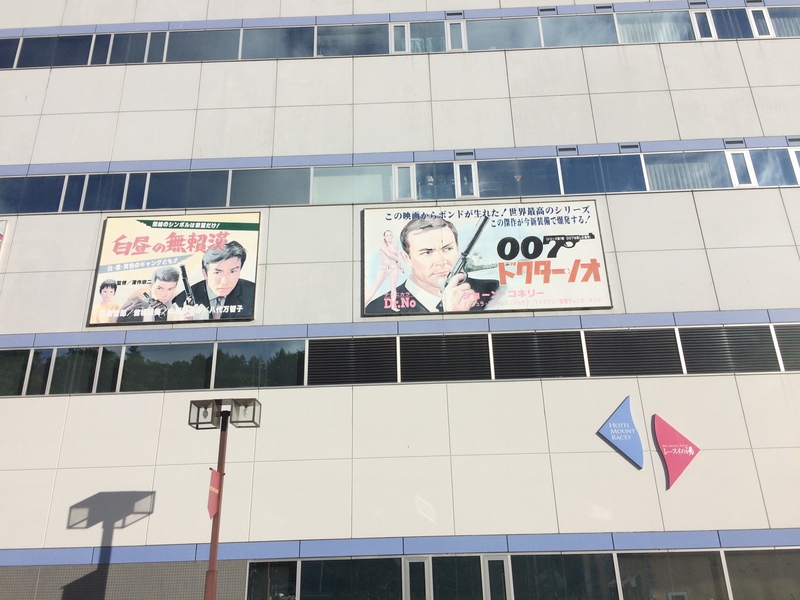 Right: 007 Dr. No. 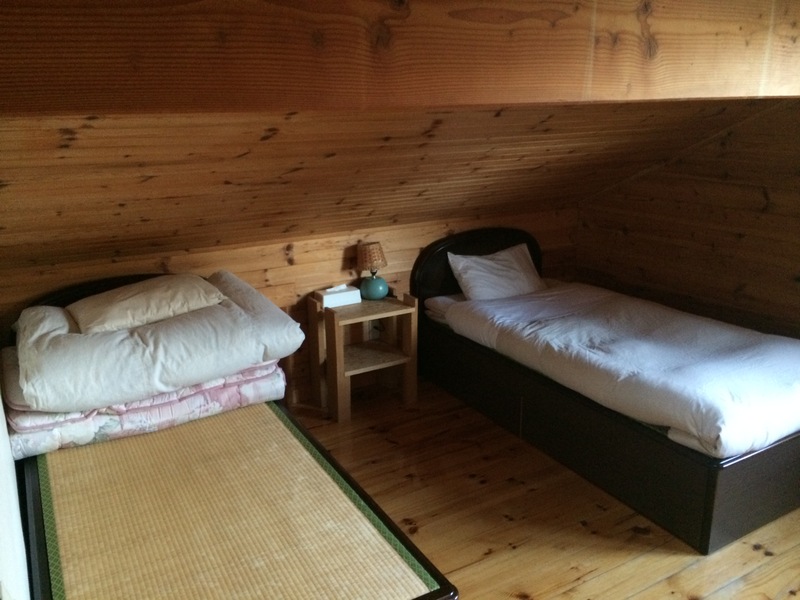 I was staying at the Yubari Forest Youth Hostel that night. 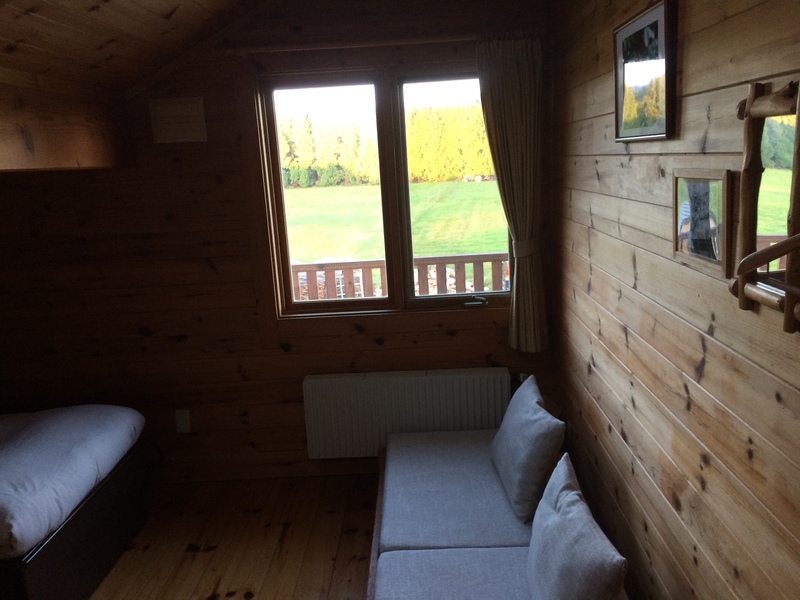 An extremely beautiful hostel in the middle of nowhere, in the middle of nowhere. While this wasn’t the most rural place I’ve been to, it definitely felt like I was cut off from the rest of the world. The hostel itself was so pristine looking, you’d think it’d only be open a few weeks. After putting my feet up for a bit, I decided to head out for a quick cycle around and pick up snacks/dinner. There was a Michi no Eki about 5km south of the hostel so that was that and off I went. Michi no Eki (roadside stations) are rest stops dotted around the country. They usually have 24 hour parking and toilets, perfect for staying the night in the car if you don’t have any lodging. During our Tohoku tour in August, my travelling buddy JJ and I visited and stayed at a few including the fanatstic Michi no Eki Shizuishi Anneko on the border of Akita and Iwate Prefecture; highly recommended if you’re ever in the area. Most Michi no Eki also have a farmer’s market and/or some sort of shop that sells local goods. After the Tohoku Trip and this one, I’d like to think of myself as some sort of Michi no Eki connoisseur. A more accurate title would be a ‘sucker for local snacks’. Meroad was less like a Michi no Eki and more like museum. 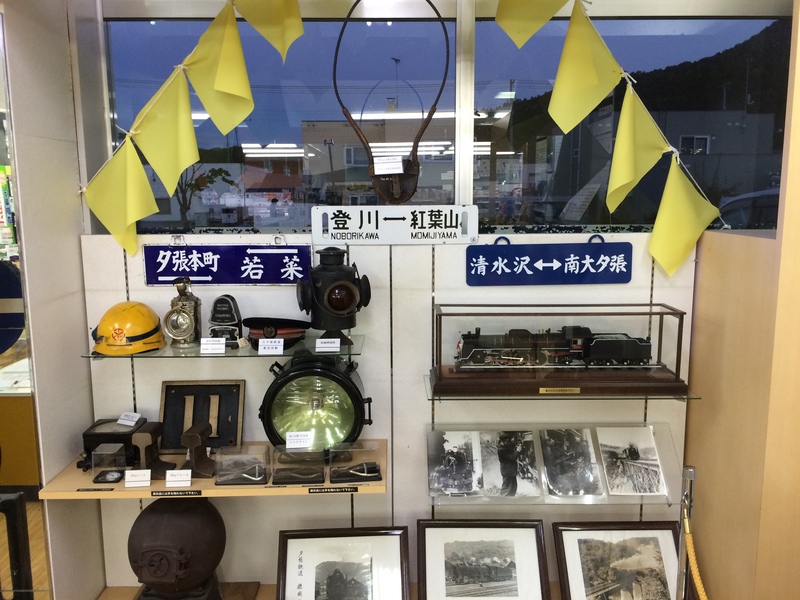 There were a few exhibits detailing Yubari’s history, mostly it’s coal mining history and melon produce. I wanted to give more of the exhibits a closer look but with the looming darkness and lack of powerful front lights, I thought it was best to get a move on back to the hostel. Genius catchcopying? I don’t know. 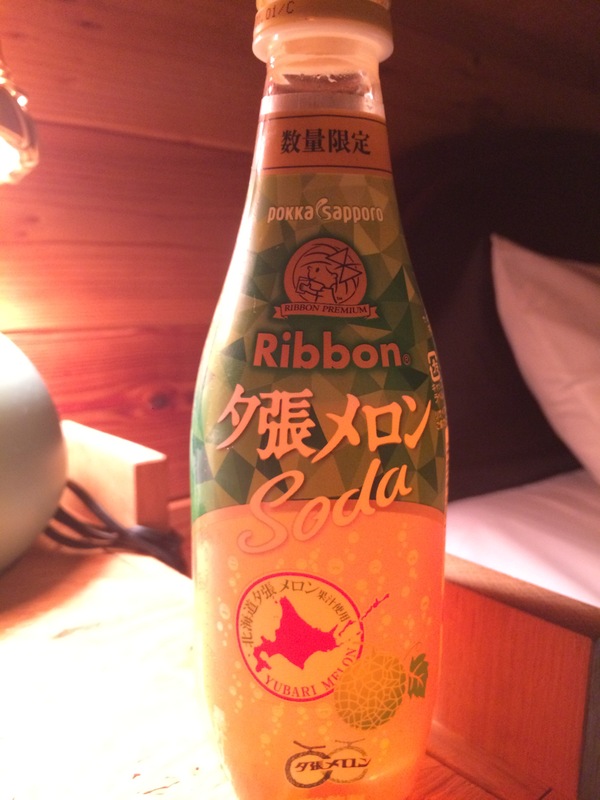 Yubari Melon Soda. It was actually pretty good; a bit like melon soda but less of the sugary artifical taste and more of a caramel, artificial taste. Back at the hostel, I met some the other guests. I was reading a photobook on Yubari’s Coal Mines when I was asked what I was reading by Train Dude (TD), a 20-something guy who was travelling from the very south of Japan to the north only using local trains. I cheekily asked him if he took a non-local train and he disheartedly mentioned he ended up at station in Southern Hokkaido where only express trains stop at. The other guy I met was Car Dude (CD), a middle-aged man from Aomori who was driving around Hokkaido. It didn’t take long to bond with these guys; they were super knowledgeable about Hokkaido and travels in general; TD having been to every prefecture in Japan bar Ibaraki. 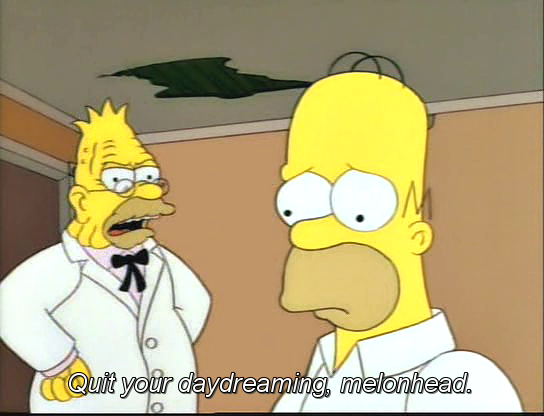 His almost encyclopedic knowledge about train stations was something else. He mentioned and suggested many train stations to visit but the one that caught my interest was Koboro Station, one of the most secluded stations in Japan (I didn’t manage to go in the end). Complementary to TD’s train knowledge was, CD’s knowledge on Hokkaido’s roads and advice on finding accomodation were super helpful, especially his advice about looking up 観光案内所 (kankou annaijo, tourist information centre). The word turned out to be extremely useful during the trip as well a gross misunderstanding, which we’ll get to on Day 4. It was a good couple of hours of swapping stories and (TD seemed very interested in the bear warning sign in Mount Racey) but with everyone off to an early start the next day, we scuttered back to our rooms to catch 40 winks.